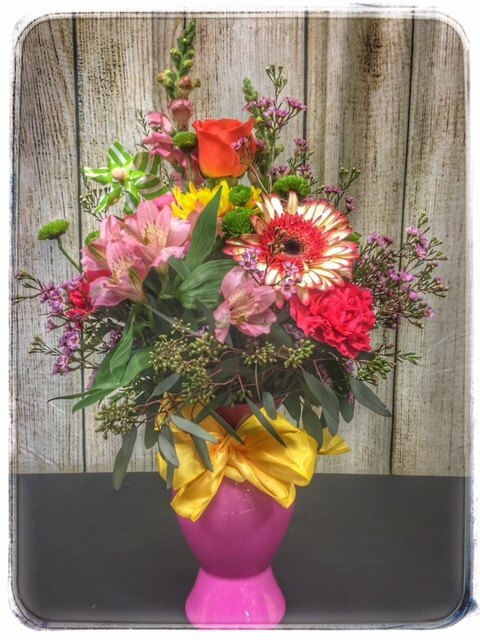 Showcase your love and affection with a Seasons Of My Heart flower arrangement from Petals! 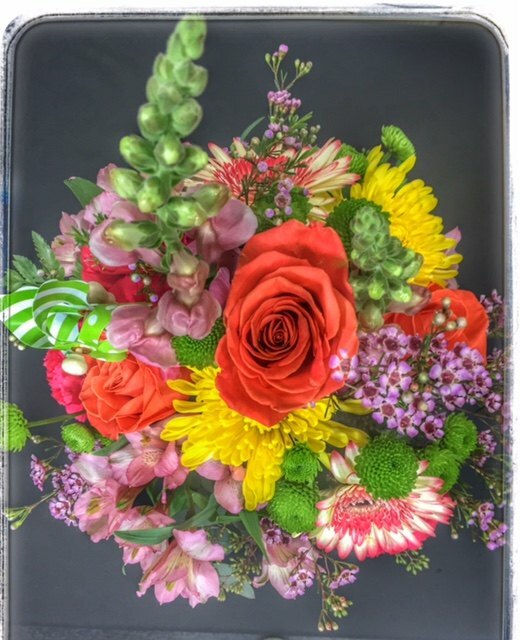 Featuring “Sorbet” Gerbera Daisies, this arrangement is paired with Orange Roses, snapdragons, fuji mums and waxflower to create a beautiful masterpiece of fragrance and color. 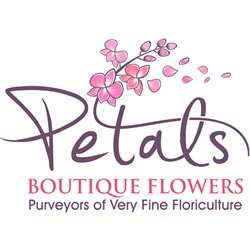 Gerbera is very popular and widely used as a decorative garden plant or as cut flowers. The domesticated cultivars are mostly a result of a cross between Gerbera jamesonii and another South African species Gerbera viridifolia. The cross is known as Gerbera hybrida. They vary greatly in shape and size. Colors include white, yellow, orange, red, and pink. The center of the flower is sometimes black. 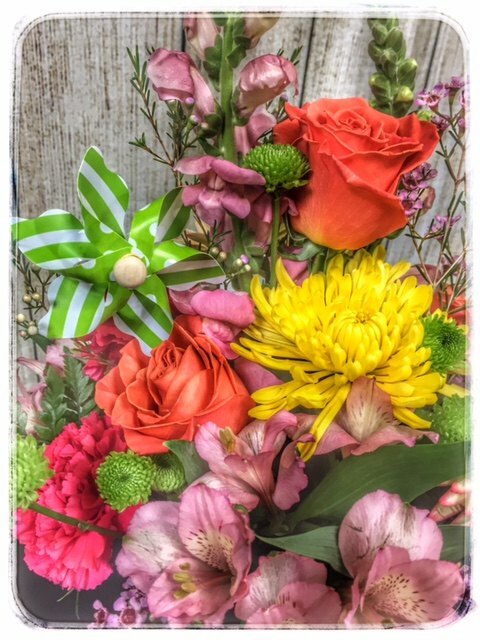 Often the same flower can have petals of several different colors. 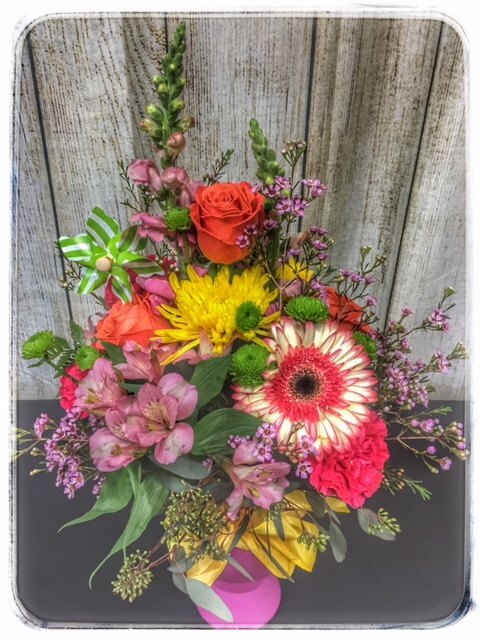 The sheer multitude of available colors has helped the Gerbera daisy become a favorite choice for many different occasions from birthdays, get well, congratulations, thank you and many more. 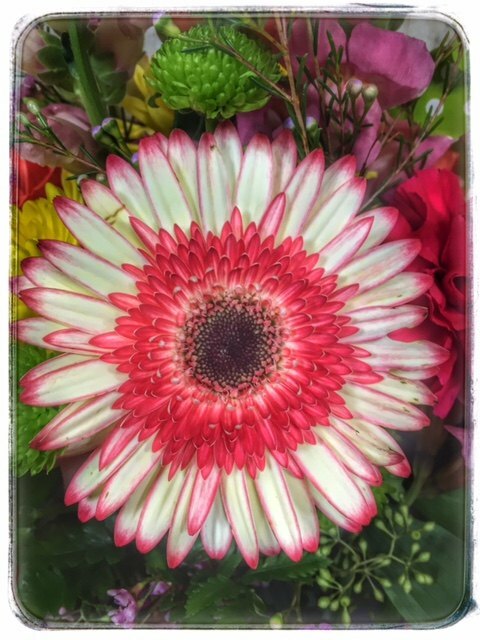 There are many types of flowers which can help to express our thoughts and feelings for our loved ones, but the Gerbera daisy and its meaning stand out as one of the most distinctly bright and merry.